Previous information from the ESA indicated that they were open to collaborating and carpooling…er, probepooling, provided that the schedules synced. That part will still be necessary, but a late-2013 allocation of $1.5 million dollars from the Russian government to develop the Ganymede probe proposal makes it far more likely that the Russian craft will take to the skies with JUICE. Roskosmos, the Russian space agency, will award a contract in early February to the best-looking bid submitted by the end of this month. The technical proposal for the mission would be due by November 25, 2015. When the project was first conceived back in 2009, Roskosmos envisioned it as a dual mission involving two separate launches — one for a probe to orbit Ganymede and the other for a craft to land on the moon. In 2007 the ESA announced the EJSM-Laplace mission which was renamed and reformed in 2011 to become the existing JUICE mission, focusing on three of Jupiter’s icy moons: Ganymede, Europa, and Callisto. 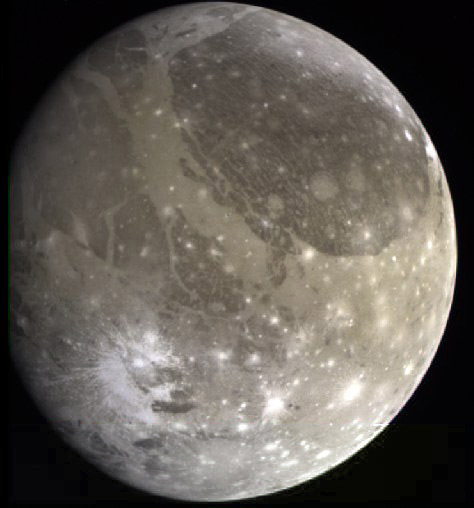 Ganymede, discovered by our old pal Galileo, is the largest and most massive moon in the Solar System, and as with Europa, scientists believe there’s an ocean under its surface. It’s also the only moon with a confirmed magnetosphere. A few spacecraft, namely the Pioneer 10 and Voyager probe, have provided more information about Ganymede, but an orbiter and a lander (or even just the latter) would undoubtedly yield immeasurably more information and insight than we currently have. 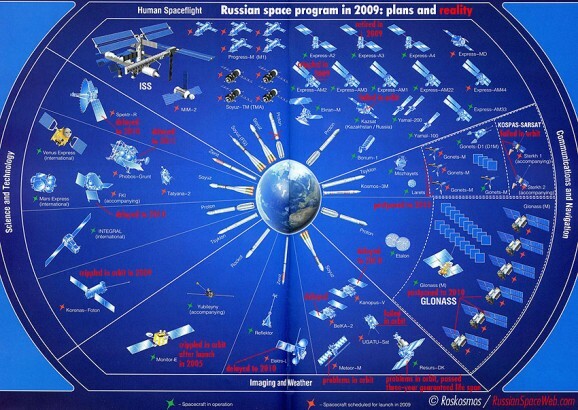 Unlike NASA, Russia’s space program has benefited from an increase in funding. Its allocations grew each year throughout the first decade of the millennium, nearly doubling from 2000 to 2009. 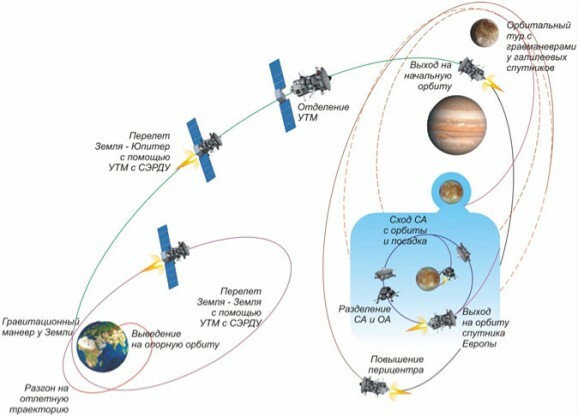 This uptick in funding has renewed interest in and feasibility of missions such as the one to Ganymede, and is set to help Russia re-emerge as a major space power. A little healthy competition can’t hurt, right? Any bets on how many orbits of the earth this thing will make before it comes crashing back to earth in flaming fireball of failure? I give it 10 orbits. Seriously though, I hope it works for them.